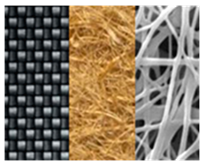 The Composite Research Group (CRG) from the Department of Mechanical Engineering at the Durban University of Technology in Durban, South Africa is hosting their Third International Conference on Composites, Biocomposites and Nanocomposites (ICCBN). The conference hosts leading researchers, scientists and experts from around the world. Please refer to the links on the right for more information.